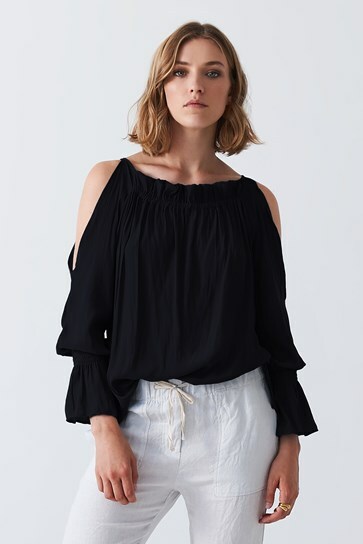 The Omaksua Top will have you breezing through summer with confidence with cut-out-shoulders, a stunning gathered neckline and shirred cuff detailing. 100% Japanese Technical Airflow Poly. Cool gentle wash. Drycleanable.